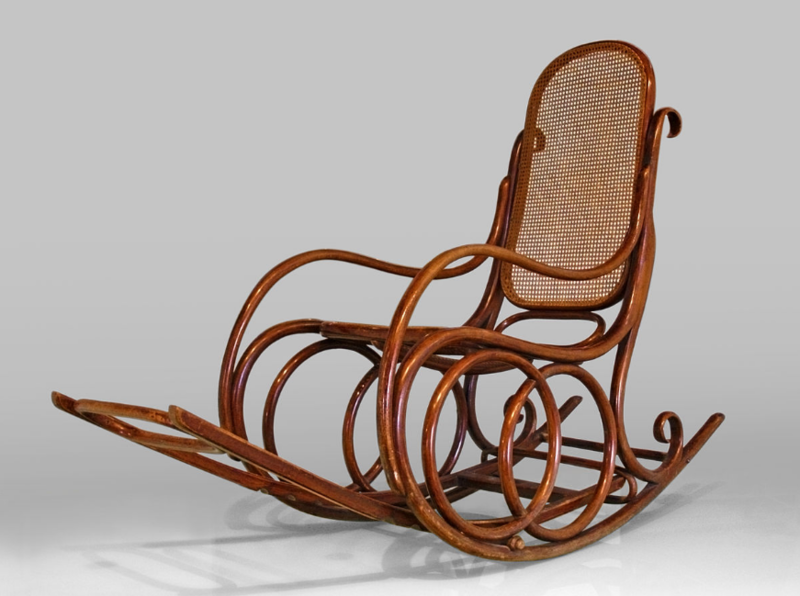 Unsurprisingly, rocking chairs have been around for quite some time, with the first datingback to 1710, and was created by attaching two ice skates to the bottom of a regularchair. However, the trend didn’t really take off until about 75 years later. Many of the rocking chairs we see today are single seaters, but back then they were oftendesigned for more than one person. They were quickly recognised as having positivepalliative effects and were used readily in places such as hospitals and other health carefacilities. Their popularity grew and grew and we still have designers creating amazing chairs thatnot only look wonderful but have a number of health benefits. If you are looking for iconic American furniture, then you can incorporate a rocking chairinto your interior design. Rocking chairs give you the ability to sway back and forthusing the push and pull of your feet. These types of chairs look beautiful in any room ofyour home and are particularly relaxing. The rocking movement gives the user the abilityto move back and forth, while resting in a chair. Rocking chairs are very popular inchildren’s rooms and nurseries, where you can rock back and forth with your child. A high-quality wooden rocking chair can be the centerpiece of your living room ornursery. Traditional rocking chairs are made with wood and sometimes are manufactured withan upholstered seat for comfortability. Rocking chairs now come in various designs to fitinto multiple aesthetics from traditional to contemporary. When people often think of rocking chairs they envision an iconic wood rocking chair.Traditional rocking chairs are often made from walnut, maple and other sturdy woods. Youcan place a wood rocking chair in your living room, reading nook or baby’s nursery. Thesesimple and classic rocking chairs can add unique flare to your home décor, which makes awooden rocking chair a good choice for any home. If you are welcoming a new baby into your home, then a rocking chair is a great idea for anew nursery. A wooden rocking chair for your nursery is great for rocking your little oneto sleep and relaxing after a hard day. You can find comfortable nursery rocking chairsthat are made from fabric, so it is comfortable for you and your little one to sit in caseyou both fall asleep. A glider rocking chair is a comfortable alternative to traditional rocking chairs Theserocking chairs are usually made with comfortable fabric and batting, so they feel morelike a rocking sofa chair. Gliding rocking chairs sway back and forth so you can relaxafter a hard day on your feet. These chairs often come with ottomans so you can put yourfeet up white gliding back and forth in comfort. Rocking chairs are perfect for every home, even those with the modern design. A modernrocking chair is different than a traditional rocking chair because it is made with thesimple and clean design. Modern rocking chairs depart from traditional rocking chairs dueto their less ornate design. And what’s fantastic about these types of chairs is thebreadth of selection that you can choose from. A modern rocking chair has so manydifferent substyles, such as contemporary, industrial, or even mid-century modern. You can even choose different upholstery for your chair. The most popular material for achair is a leather rocking chair. The reason for this is that it’s smooth and comfortable.In addition, a leather rocking chair is easy to clean and can last a fair amount of time.And don’t worry about finding colors for your chair you can find any number of colors. Forexample, white rocking chairs can go well in just about any environment. Whether you havea dark room or a light one white can be a great option because it’s a monochromatic color.On the other hand, if a white rocking chair isn’t your style, no problem? You can find anycolor in the rainbow ranging from red to blue. The health benefits of rocking chairs. Battle arthritis and back pain. Rocking chairs can help you sleep. Aside from looking stylish, there are actually plenty of health benefits of rocking chairscompared to your regular armchair or sofa. Some you think might be pretty obvious, butothers might come as a bit of a surprise. Arthritis and back pain can be debilitating conditions, but did you know that using arocking chair may be able to help? It’s even said that former US President John F Kennedyused to use a rocking chair to ease his back pain. Using a rocking chair increases blood flow around the body, thus sending more oxygen tothe joints, which can help ease the symptoms of arthritis. The slight physical exertion ofrocking also helps to build up strength and flexibility in the knees, whilst the act ofrocking apparently helps prevent pain signals travelling from the back to the brain. It’s not exactly a secret that rocking has a soothing effect on babies, helping to calmthem down or get them to sleep In that respect, rocking chairs have their obviousbenefits. This rocking also promotes parent-child bonding, and there is even research tosuggest that rocking a child can enhance emotional, social, cognitive and motordevelopment. Some have suggested that rocking is a useful technique with adopted children, again toboost bonding. For new mothers who have given birth by cesarean section, rocking is saidto speed up recovery time. Studies have suggested that mothers who use a rocking chair inthe days following a cesarean section walked faster and left hospital a day earliercompared to those who had not use a rocking chair.This is said to also be the case forpeople recovering from any kind of surgery. Following on from the soothing effect rocking chairs can have on babies, researchers fromthe University of Geneva found that rocking can foster deeper sleep. The study wasconducted using hammocks, but there’s nothing to say that using a rocking chair can’t havethe same benefits. Who says that sitting down too long will make you fat? Using a rocking chair apparentlyburns 150 calories an hour. Using a rocking chair is a great idea for those who arehousebound or unable to exercise regularly. It’s not the most physical of exercises butit’s better than nothing and gets the blood flowing. Rocking could even help those who suffer from dementia. A study conducted by theUniversity of Rochester found that residents of a nursing home who had been diagnosed withdementia showed increased emotional and psychological wellbeing when using rocking chairscompared to those who did not. Behaviours such as anxiety and depression were noticeablyreduced by those rocking away in their chairs. Rocking apparently stimulates the balance mechanism in the inner ear as the body works tobalance itself as the chair rocks. Improved balance was seen in the aforementioneddementia patients who used rocking chairs. These are just a few of the health benefits of rocking chairs, but there are plenty ofothers and we think they look fantastic too.